Well, I am totally jealous that one of my co-workers beat me to reading Jennifer Lee Carrell’s newest novel Haunt Me Still. I have been told that readers will not be disappointed with this novel. It is a wild ride, much like her last Shakespearean mystery. This story pick-ups with Kate and Ben a few months after their “Hamlet” adventure from Interred with Their Bones. Only this time, the mystery is centered around Shakespeare’s play “Macbeth”. Kate has been hired to direct the play “Macbeth” in Scotland, and it doesn’t take long for the infamous Macbeth curse to start reeking havoc on everyone involved. People are reported missing and later found crazy, trenches are being filled with blood, and people are being murdered. Now, Kate and Ben must discover if there is indeed a play where Shakespeare included rituals and witchcraft before they are either murdered or arrested. I am so excited to read this one. My co-worker has been raving about how wonderful it is, and I did love Carrell’s last Shakespearean mystery. 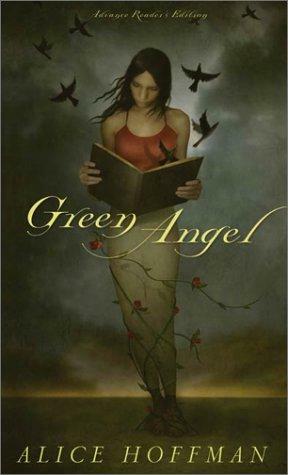 I recently read Green Angel by Alice Hoffman. I found the story to be incredible uplifting and am eager to read the sequel Green Witch. Hoffman has once again created a world with just a hint of magic.The story is about a girl named Green who has a gift for growing plants. Her family and a large portion of the town are tragically killed in an explosion. Green is naturally overcome with guilt and grief. She spirals downward, consumed with her pain. Yet, some how, through it all she finds a way to live again. The characters’ reactions to the tragedy are very true to life. I felt that I could relate to the characters’ pain and joy. Overall, it was truly a delight to read. This is a great book for young adults and adults alike to enjoy. One of my co-workers has been absorbed reading James Rollins’ novel Subterranean this past week. This book combines adventure, thriller, military, and science into one incredible read. A group of scientists are sent two miles below the earth’s surface to do a scientific exploration of an underground cave, or at least that is what they are told. What the science team doesn’t know, is that they are really being sent for military purposes. Not only is the group being deceived about the intention of the exploration, but they are not the first group to travel to the underworld. The last group went three months before, but failed to return. My co-work has been unable to put this book down, and has mentioned it to me at least once a day. I can only assume this is a great thriller with all kinds of creatures and conspiracy. I have been told there are a few “creepy” spots, but that has only made the book better. Rollins’ use of technology has also aided in making this a great read. He has the scientific team come up with clever new gadgets to use in this new underground world. This book would be recommended to anyone who loves a good mystery, with a bit of science thrown in. Just an FYI, we now have our “Life’s a Page Turner” sleep shirts half off. Perfect for any late night reader. As a side note, if you haven’t read The Girl with the Dragoon Tattoo and The Girl who Played with Fire by Steig Larsson, you really must add this to your “to read list”. Everyone at the bookstore enjoyed this series. It is a wonderful Swedish mystery that is face-paced and full of excitement. (The story does have a few graphic scenes, so be prepared.) The third book, The Girl who Kicked the Hornet’s Nest, should be out in hardback this May. And let me tell you, I can’t wait for the third one. We have been counting down to May since January, and it has been a long wait for this book. This will be the end to the series as well, which is some what disappointing since the first two were so good. However, all good things must come to an end. If you enjoyed Game Change by ﻿John Heilemann and Mark Halperin, you might want to read The Battle for America 2008 by Dan Balz and Haynes Johnson. I have been told this is another excellent read covering the 2008 presidential election. The Battle for America 2008 gives the reader a slightly different perspective than Game Change by pointing out more of the errors that occurred on each side of the campaign. Balz and Johnson also give a more in-depth explanation of the everyday tasks of the campaigns. All and all, a fascinating read for any one interested in politics. I have just started to read Hotel on the Corner of Bitter and Sweet by Jamie Ford for next week’s book club. (The book club will be meeting here, at Mostly Books, on Saturday April 17th at 1:00 PM.) 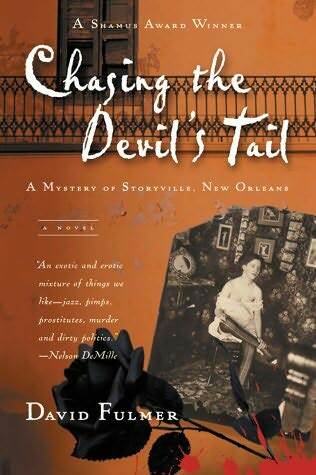 My co-worker who will be leading the discussion said the novel is just an overall nice read and very enjoyable. So far, or at least for the first 30 pages, I would have to agree with her. The story is well written and I find myself being sucked into the characters’ lives. I am already eager to go home and read more tonight. However, I have a feeling that the novel is going to have a few heart-wrenching moments, but I am optimistic for the ending of the story. This book is about a Chinese American boy (Henry) and a Japanese American girl (Keiko) who become friends during the end WWII in Seattle. Forty years later, the belongings of several Japanese families who were sent to internment camps are found in the basement of a local hotel. Now, Henry tries to locate Keiko’s belongings, specifically a long lost object whose value is unmeasurable to Henry. All the while, forcing him to revisit his forgotten past. Join us Saturday for a more in-depth discussion. I just wanted to add that the ending of Interred With Their Bones had several fun twists and turns. I found it to be a fun mystery read, with countless Shakespearean facts. Now I am in the mood to reread a few of Shakespeare’s plays. I am currently reading Interred With Their Bones by Jennifer Lee Carrell, and I have to say I am rather enjoying it. I am cruising through this book. It is a fast-pace plot that keeps me turning the pages to discover what happens next. I have been unable to set this book down, and am lucky I made it in to work today. I am also a sucker for stories where an “ordinary” person with one special skill set is handed a mystery to solve. It gives me the feeling that one day I too will be given a mystery to solve, and succeed. The story is about uncovering a Shakespearean mystery that dates back 400 years. Kate is given a mysterious box from an old friend, who is later murdered in similar fashion as Hamlet’s father. This sets Kate off on a wild adventure to uncover a literary secret. However, Kate is not the only person attempting to solve the mystery, and the stakes are getting deadly.